MAHE 2014 Engineering/Medical Forms Online. Hurry Apply Soon! Application process for MAHE Engineering/Medical 2014 has now started. 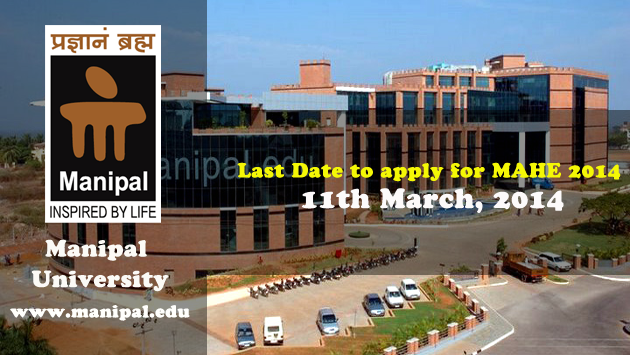 Students seeking admission in Manipal University should fill up this form. MAHE 2014 exams :To be announced later. NOTE : There are some changes in MAHE 2014 Test Pattern. Visit this link to know more about it. Join more then 1,00,000 students in preparing for Engineering/Medical in 2014 on simplylearnt.com. There is no better preparation for MAHE than reaching Milestone 9 - Nirvana before your exam day.